I ❤️ My Dad | Happy Fathers Day! Unless you're a friend of mine in the real life you wouldn't know how important my father is to me, sometimes I feel like he doesn't even know how much he means to me, after all we don't have that kind of relationship where we say I love you. That isn't a issue, my dad is 72, he's of a generation that saying those three little words just doesn't exist. But believe me, I don't need to hear those words as my dad has always, and continues to show his love for me in many other ways. My mum left my father when I was 6 or 7. She left my dad with three children, my sister, brother and myself, who's the youngest. I was a little too young to understand what was going on, although I do remember very clearly a lot of stuff that happened prior to her leaving and of course afterwards. It's a rare situation where the father is left with their children. I remember having the choice of who I wanted to live with, my brother and sister choice my dad, but I choice my mum, which was natural as I was so young. Obviously that never happened, which was the best thing that could have happened. I did see my mum throughout my life, sometimes regularly, sometimes very little but I cut contact with her 10 years ago this August. Growing up was hard, we had little money, I was a nightmare teenager, not in the illegal way, just in the always getting in trouble at school kind of way and I know I never appreciated my dad whilst I was growing up, which I think most teenagers experience, you know what it's like, you think you're a grown up and want to do whatever you want and stomp around screaming IT'S NOT FAIR and I HATE YOU in a total Kevin and Perry kind of way! Thankfully I grew out of that.. eventually! One thing my dad has always done is always show his love for me, I'm his youngest and was very spoilt whilst growing up and I am still to this day! I wasn't spoilt with lot's of money or presents just with his love. 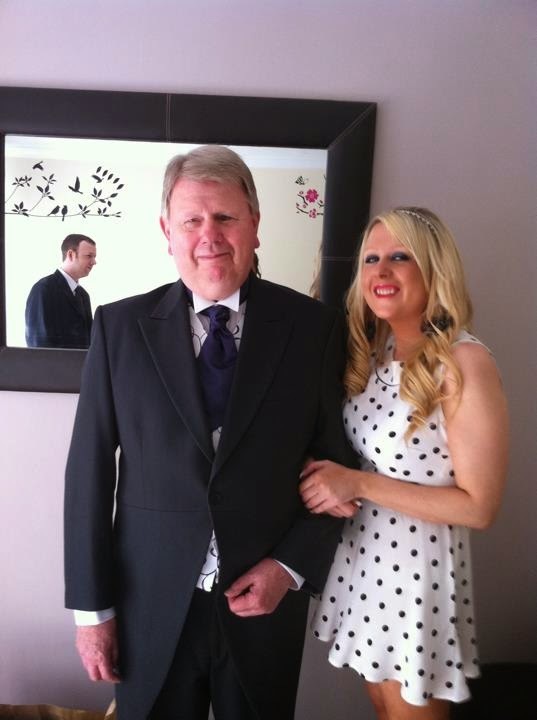 My dad has always done everything for me, from buying me my tampax whilst I was growing up, to running my baths when I was on my way home from work, to cooking and doing all of my washing to even tidying my room! As a result I'm not a very domesticated woman at all, in fact I'm probably the least domesticated woman you'll ever find! My dad is one of those men who hates praise, hates being recognised for the amazing man and father he is, hates any form of attention and seems to not even realise that he did a remarkable job bringing up three children on his own, all whilst struggling with money and struggling emotionally with what was going on. He had no help from anyone, no-one in our family ever offered to help him with us, even with some family members living not too far. He had to give up his job to look after me, as I was so young, my mum left him in huge debt and never contributed paying any money towards us when we were young either. My dad seems to think that he didn't do anything special as he was our dad and that was his job to care and look after us. My dad is also an extremely intelligent man, he knows literally everything about anything and is like a walking talking man full of knowledge and facts, yet he sees himself as not intelligent... which couldn't be any further from the truth! 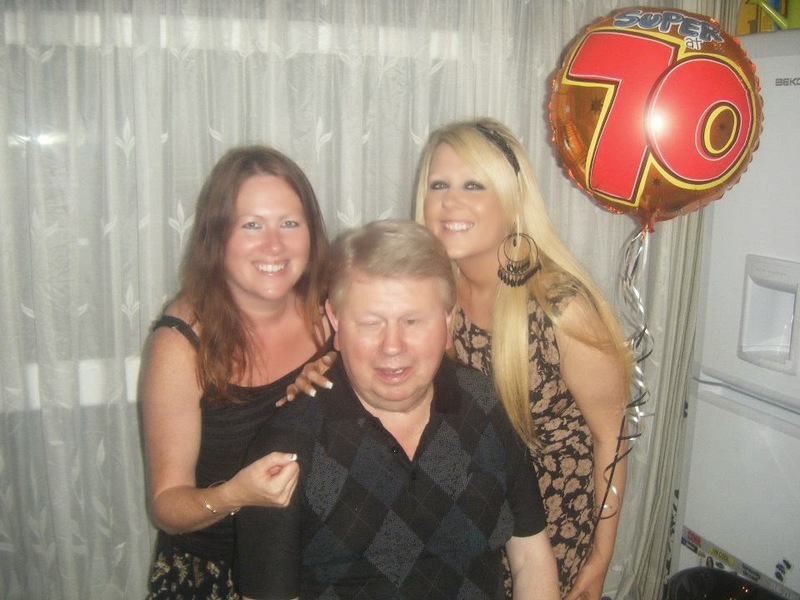 Everyone who knows me thinks my dad is amazing, even those who haven't met him thinks he's a remarkable man. People who do know him think he's such a lovely guy, although once they get talking to him they can never get away as he does love to chat! When we are at a family party and I've had a few to drink I always start telling everyone how much I love him and how amazing he is and then get emotional... it can be slightly embarrassing to say the least, but you know what it's like when the alcohol is flowing! I wish I appreciated everything he did for me when I was a teenager, instead of being a horrible daughter but I'm pleased that when I grew up I recognised it and appreciated everything he did for me and continues to do for me to do this very day. I always feel like Fathers Day gets so little coverage in comparison to mothers day and I'll be honest it frustrates me so much. So many mums get recognition yet few fathers do. It's not always the mums who get left holding the children, fathers do too and it's a tougher job for them, especially when bringing up girls. I love my father, he did an amazing job on his own and continues to do that every single day. I don't know what I'd do without him, I don't know who or what kind of person I would have turned out to be if it hadn't have been him bringing me up and quite frankly I wouldn't have wanted it any other way. Life and my dad has moulded me in to the person I am today. I'm not perfect, far from it but I've grown up to be quite a nice woman, an outspoken one with an argumentative side, which is one of my mothers traits, but I'm an ok kind of person.. I'd like to think anyway! So I just want to say I love my dad and wish him a very Happy Fathers Day! I'd also like to wish Happy Fathers Day to every other father out there!